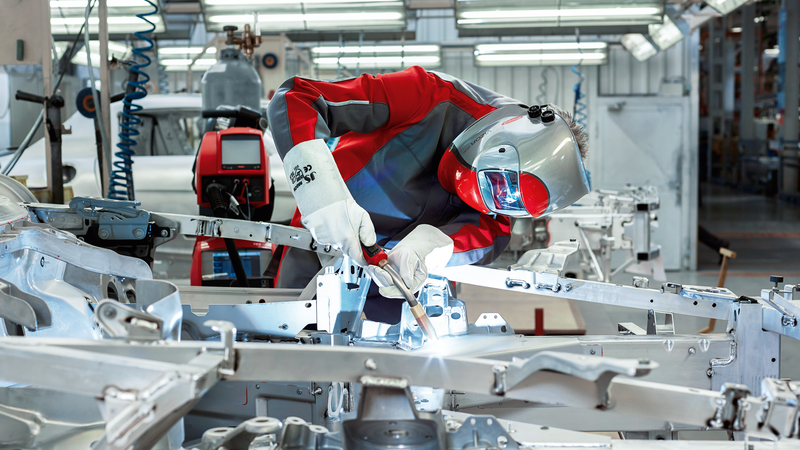 With its completely redesigned modular TPS/i MIG/MAG power source platform, Fronius is leading the welding sector into a new era: users benefit from working with individually customisable and upgradeable appliances that stand out due to their high intelligence and extensive communication capabilities. The equipment not only lets users carry out welding tasks more easily and more quickly, but also with even better results. As well as these immediate advantages, the platform is also the foundation on which many innovative future advances will build, thereby guaranteeing a highly secure investment for the long term. The TPS/i is available in the 320, 400, 500 and 600 A power categories as well as in 270i and 320i compact versions with an integrated wirefeeder. With the TPS/i, we have already arrived at the future of welding. Previously unimagined possibilities can soon become the norm. The Intelligent Revolution is the perfect interplay of interaction, individuality and improvement. For the TPS/i, the weld properties have been significantly improved, communication between man and machine has been optimised, and the handling has been perfected. The modular design means that the device can easily be adjusted in line with the individual welding requirements. It is easier to operate, suitable for any application and able to deliver virtually limitless performance. Thanks to its modular design, the TPS/i can be quickly and efficiently adapted to customer requirements and enables individual solutions to be created. With the aid of Welding Packages (WP), the TPS/i power sources can be configured to suit customer needs. Users can choose between WP Standard or WP Pulse as standard. The standard welding packages can be enhanced by adding the LSC and PMC packages. New characteristics are just as easy to upload as firmware updates, via internet connection. With the faster processor performance of the TPS/i it is possible to measure many new control variables, allowing even more precise analysis and thus control of the welding process. This has many positive effects, including reduced spattering in the dip transfer arc process, improved droplet detachment, even more stable arcs with a simultaneously higher welding speed as well as controlled ignition properties. The TPS/i is a welding partner that communicates with the user in many different ways. The intuitive plain-text display gives users information on all machine parameters in the form of descriptive texts and the system automatically detects all available components and warns of any incompatibilities. The mini-display integrated into the JobMaster welding torch lets users control the power source from the welding workplace, meaning the system can be operated more quickly, easily and safely. Furthermore, remote maintenance and system analysis are possible via the internet. The future of welding has begun. ... all these features combine to produce the most profitable welding processes in all automated series production lines.